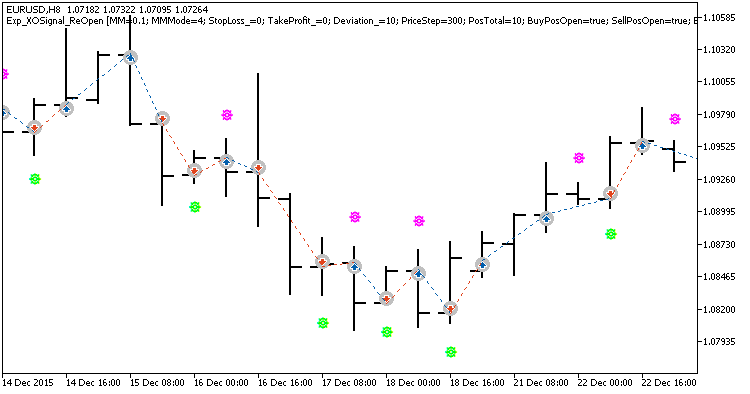 The Exp_XOSignal_ReOpen trading system based on the signals of the XOSignal indicator with trend following scaling The signal is formed when a bar is closing if a colored indicator arrow has appeared. Further, it scales the volume of the opened position if the profit points of the last deal in the position exceed the threshold specified in the EA input parameters. Information on position scaling is stored in string comment to the trade in the format of: number of scales/price of last deal/volume of last deal. In order to properly compile the Expert Advisor, you should save the XOSignal.ex5 compiled file to the <terminal_data_folder>MQL5Indicators folder. After compilation, the Exp_XOSignal_ReOpen.ex5 expert file contains the XOSignal.ex5 indicator as a resource, and therefore it is not required to be present in the terminal folder for the compiled EA to work! For this purpose, the corresponding code has been added to the EA code in order to include this indicator in the expert's executable file. Thus, the compiled executable file of the expert can be used on other trade terminals on its own without the indicators. Default Expert Advisor's input parameters have been used during the tests shown below. 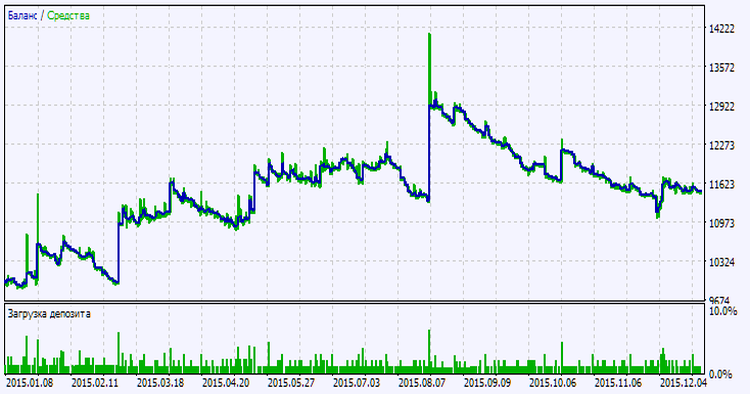 Stop Loss and Take Profit have not been used during the tests.